Corona Blanca is produced by the company Fruit Fusion located in Spain. Their products combine tradition, high quality and cutting-edge technology, together with the company’s exclusive dedication for more than thirty years. Fruit Fusion, S.L. works hard for perfection, it selects the best raw materials of the Mediterranean, to prepare its products. Fruit Fusion, S.L. 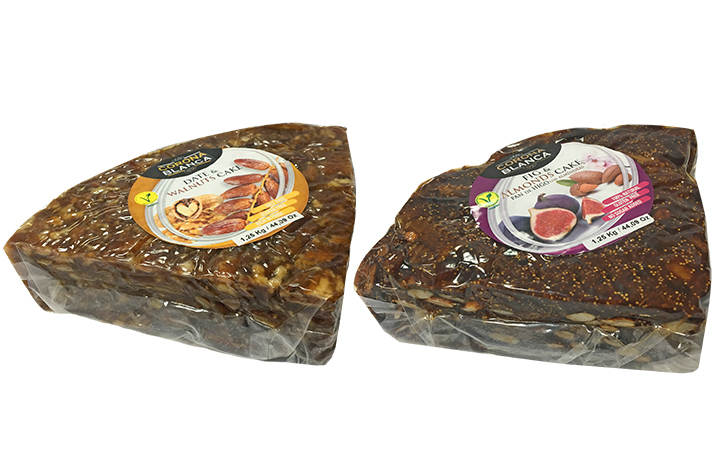 offers a wide range of products including Pasteurized Products such as Fig and Almonds Cake, Date and Walnuts Cake, Apricot and Almonds Cake, Orange and Almonds Cake and Pomegranate and Almonds Cake.